Established in Chicago, Illinois in 1975, the German American Police Association (GAPA) is a fraternal organization comprised of duly sworn law enforcement officers of German heritage. As a social organization, we are also a charitable one, committed to supporting honorable causes within the German American Community and those of law enforcement. Current charities include but are not limited to the GAPA Scholarship Fund, the DANK Spatzen Children's Chorus, DANK Schule Nord, St. Alphonsus Restoration Fund, the Chicago Police Department's Gold Star Families which provides support to the families of officers killed in the line of duty, the Police Chaplains Ministries, the Chicago Police Memorial Fund and the National Law Enforcement Officers Memorial Fund. The majority of our members are Chicago Police officers, Cook County Sheriffs officers, Illinois State Police officers as well as police officers of various suburban departments within the Chicago metro area. Associate Membership is allowed to non law enforcement officers who also wish to promote the ideals and goals of the German Amercian Police Association. In addition, our Association is a member of the German American National Congress (DANK). 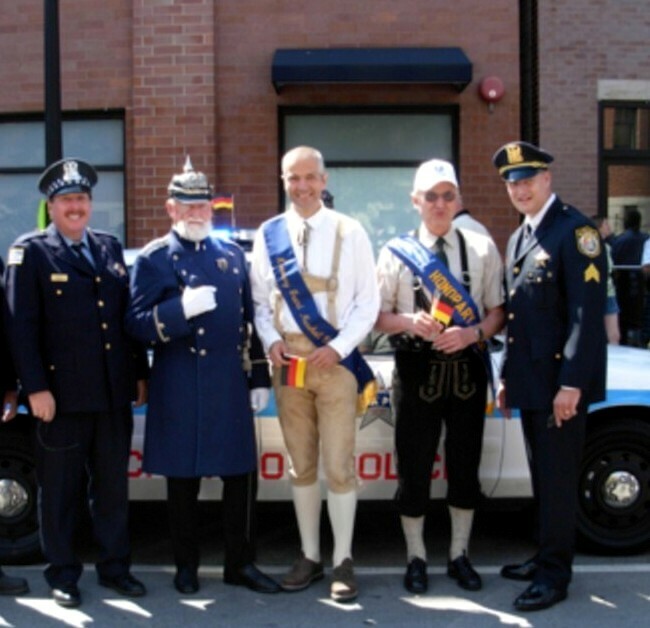 We also have established and maintained contacts with other German American law enforcement associations such as the GERMAN AMERICAN POLICE ASSOCIATION OF GREATER MILWAUKEE, the INTERNATIONAL GERMAN AMERICAN POLICE ASSOCIATION of Philadelphia, the NEW YORK CITY POLICE DEPARTMENT'S VON STEUBEN SOCIETY as well as POLIZEI MUENCHEN (Munich Police Department).